Yesterday the North Carolina State Board of Elections (SBOE) voted unanimously -- all 9 members -- not to certify election results in the 9th Congressional District, which Rev. 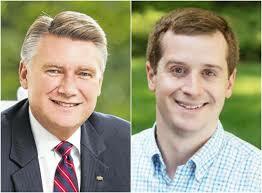 Mark Harris won by just over 900 votes. Democrat Dan McCready conceded the race weeks ago. “I’m very familiar with unfortunate activities that have been happening down in my part of the state. And I am not going to turn a blind eye to what took place to the best of my understanding which has been ongoing for a number of years that has repeatedly been referred to the United States attorney and the district attorneys for them to take action and clean it up. And in my opinion those things have not taken place." Hmmm. Unfortunate activities. To the best of my understanding. Okay, so that suggests there's already an investigation underway and not for the first time: "activities ... ongoing for a number of years ... repeatedly referred to the Unites State attorney and the district attorneys...."
So what criminal activity related to elections has been ongoing in the NC-9? 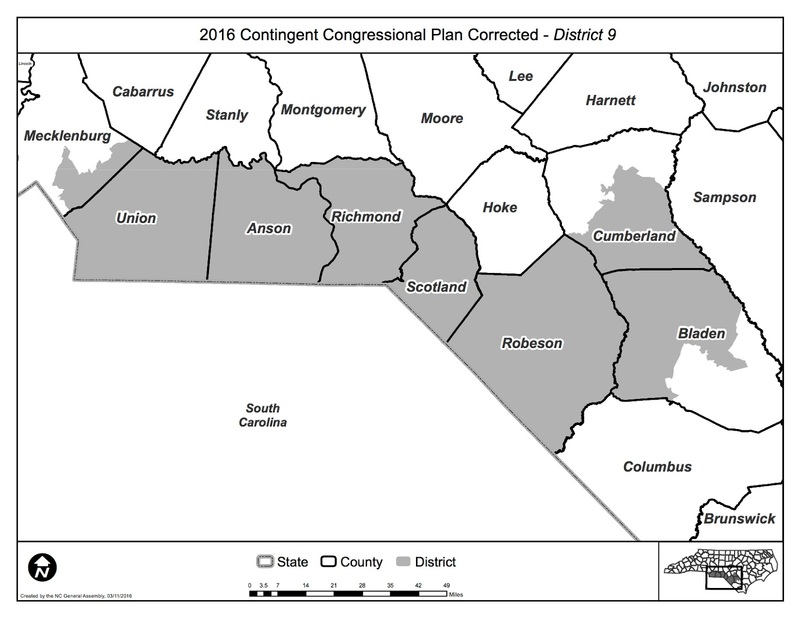 Dallas Woodhouse, the cigar-chewing executive director of the NCGOP, told Jim Morrill of the Charlotte Observer that Malcolm was referring to "the situation" in Bladen County, only half of which is in the 9th Congressional District. If it's Bladen County, it goes back to what happened there in 2016 and was presumably still happening in 2018. Back in the 2016 general elections, Leslie McRae Dowless Jr., an incumbent Bladen County Soil and Water Commissioner -- a former Democrat currently registered Unaffiliated -- won reelection on November 8 but filed an election protest on November 15 -- a week later -- alleging voter fraud through “a massive scheme to run an absentee ballot mill involving hundreds of ballots” by the Bladen Improvement Association PAC, "a committee funded by the North Carolina Democratic Party and numerous local and statewide Democrats" (Bladen Journal). The Bladen Improvement Association had endorsed Dowless and helped him in 2012 -- "They had me on their sample ballot," Dowless testified -- but then turned against him. And allegedly ran a fraudulent "absentee ballot mill" to try to defeat him. Boy howdy! The politics in Bladen County look so ... 19th Century! The background on what went on in the Bladen County Democratic Party would probably make a hair-raising good novel, especially as Dowless may have had a history himself of fraud (looks likely, if he's the same Leslie McRae Dowless Jr. of Bladen County sentenced to two years in jail in 1992). (Lisa Sorg, NC Policy Watch). At any rate, though the SBOE voted 3-2 in 2016 to reject the Dowless petition, they also voted unanimously to refer the matter to the US Attorney for the Eastern District. So there must have been some evidence of mail-in absentee ballot fraud. Everybody who knows anything about elections, or anybody who can think logically, long ago concluded that in-person voter impersonation is not the potential arena for election fraud and that a photo ID, which is supposed to "cure" voter fraud, can't touch the potential fraud that mail-in absentee ballots invite. While fraudsters don't vote and go to their car and change their shirt and go back in to vote again as someone else, they obviously can do what the Republicans alleged some Democrats were doing in Bladen County in 2016 -- making absentee ballot requests surreptitiously and voting those ballots without the voters' knowledge or consent. We can assume that something similar was going on this fall. And here's the thing: Though the SBOE voted to refer the matter to the US Attorney for the Eastern District, that US Attorney's office has declined to prosecute anyone (have the allegations even been referred for investigation?). The Obama-appointed US Attorney resigned the office in January of 2016, before the events in the scandal above. He was replaced by an Acting US Attorney who served until Trump appointed the current US Attorney, Robert J. Higdon Jr. in August of 2017. Higdon has been very active since his installation at pursuing Twitterman's allegations of massive illegal voting by undocumented immigrants. Looks like he might want to take a crack at absentee voting in Bladen County, especially as it may involve a splinter group of Democrats. What an opportunity to score political points! 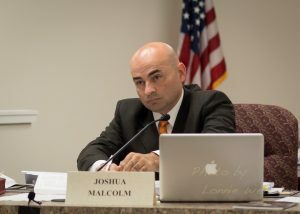 SBOE member (and Democrat) Joshua Malcolm seemed to signal that the authors of fraud in Bladen were in fact fellow Democrats: He used the word "unfortunate." He might have used a different word if it were Republicans. State records indicate 684 ballots were cast absentee by mail in Bladen County in the race, most of them for [Republican Mark] Harris. [SBOE spokesman] Gannon declined to say whether anything else has been seized from any other counties in the district, but Robeson County Board of Elections Chairman Steve Stone said a state investigator reached out Wednesday for logs his county elections office kept of people who turned in large numbers of voter registration forms and absentee ballot requests. So maybe not Democratic factions at all. But it's pretty clear that it's the absentee ballots, stupid! Republican Congressional candidate Mark Harris apparently got 96% of the mail-in absentee ballots in Bladen County, a fairly astounding statistic.